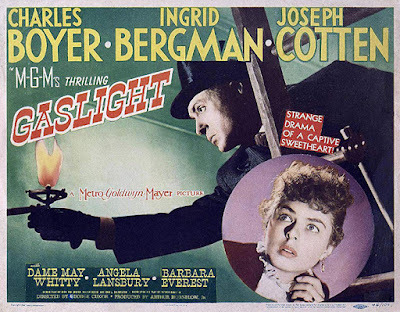 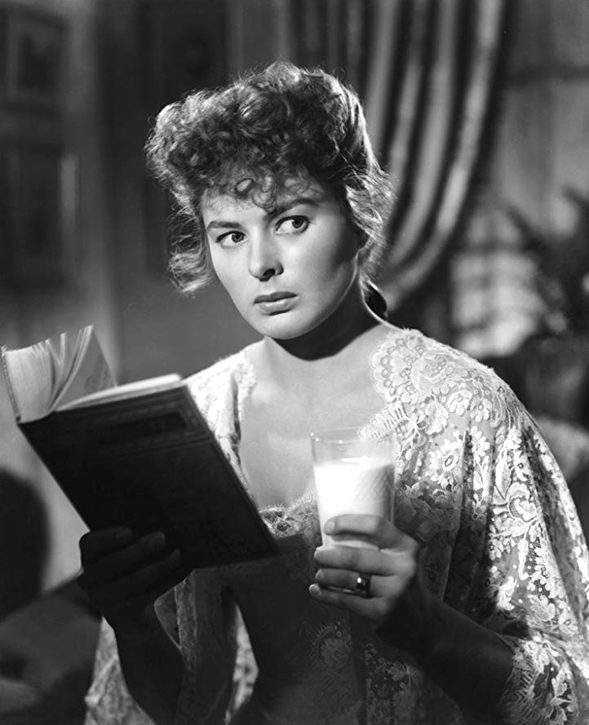 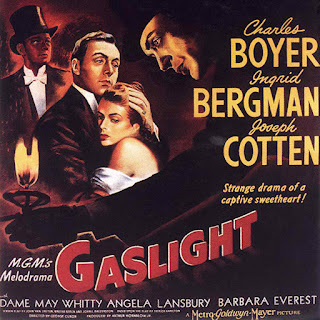 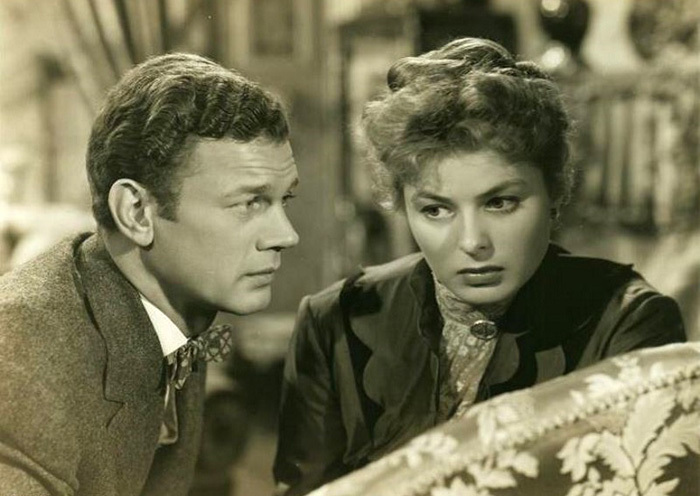 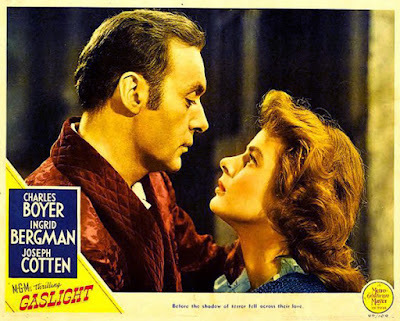 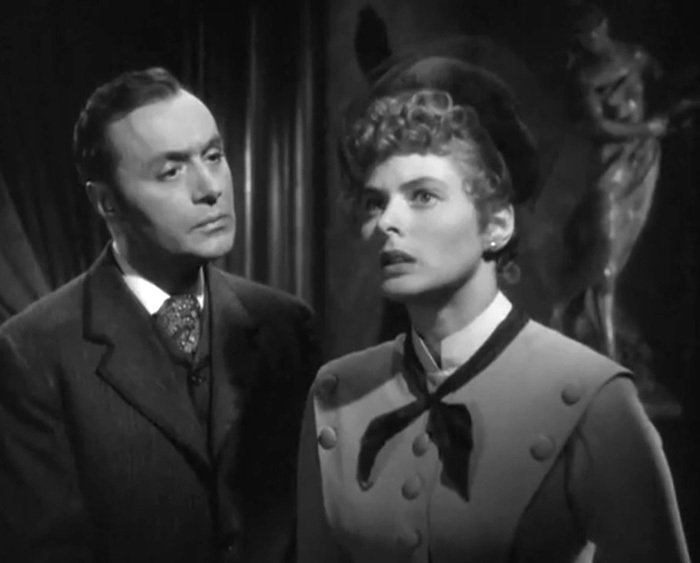 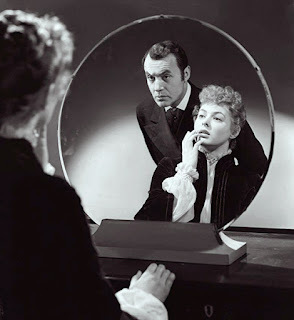 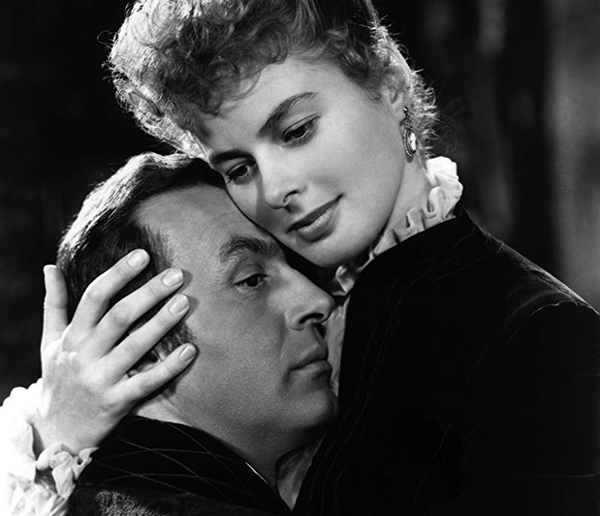 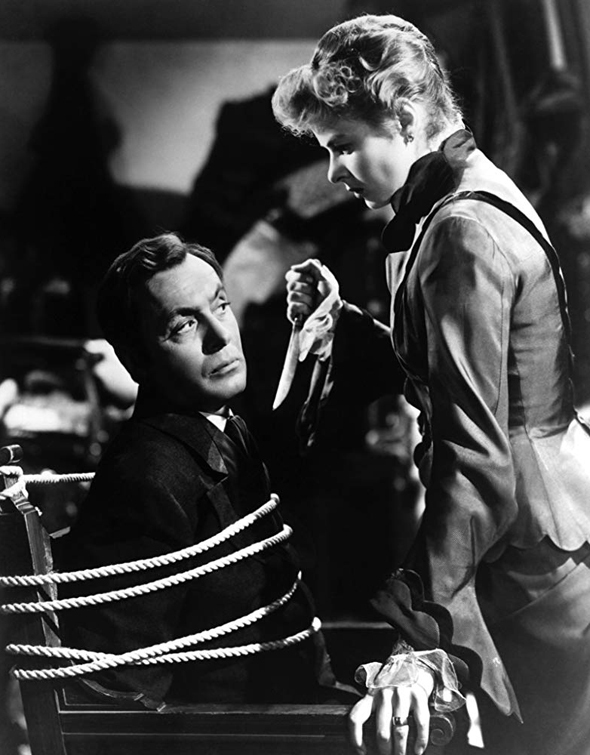 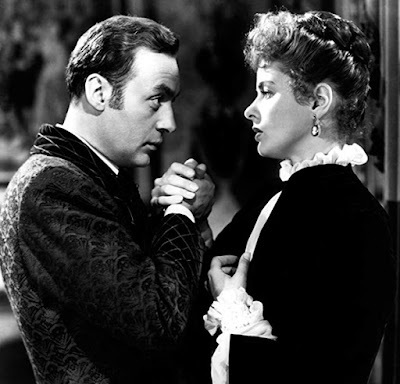 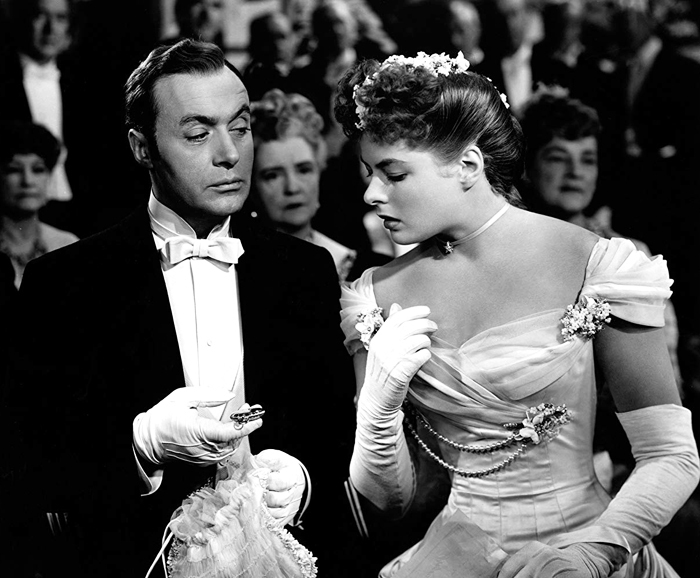 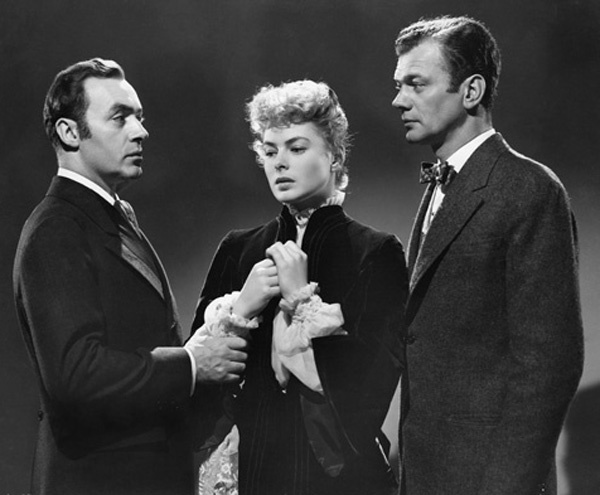 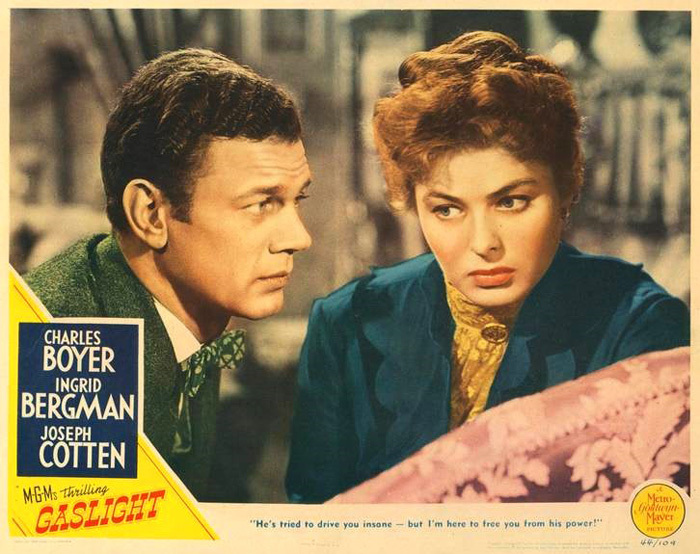 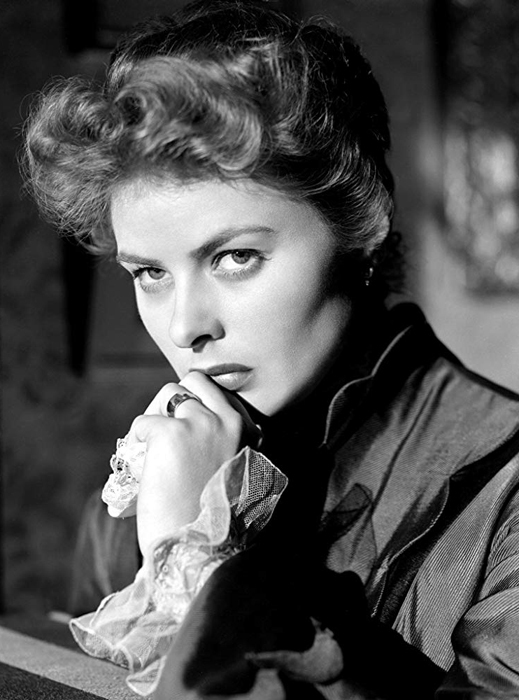 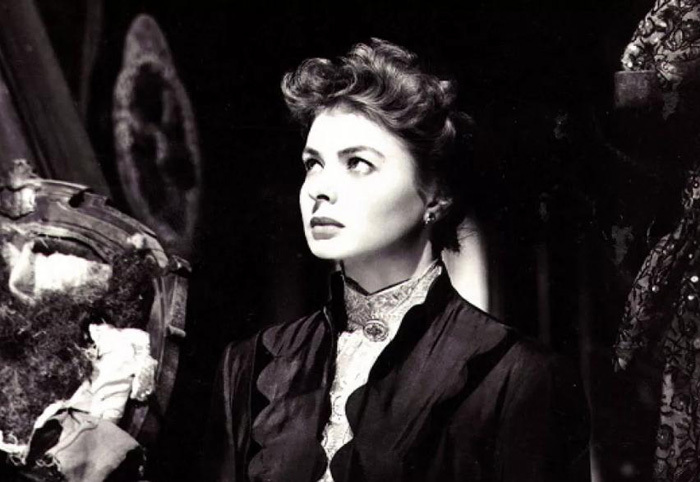 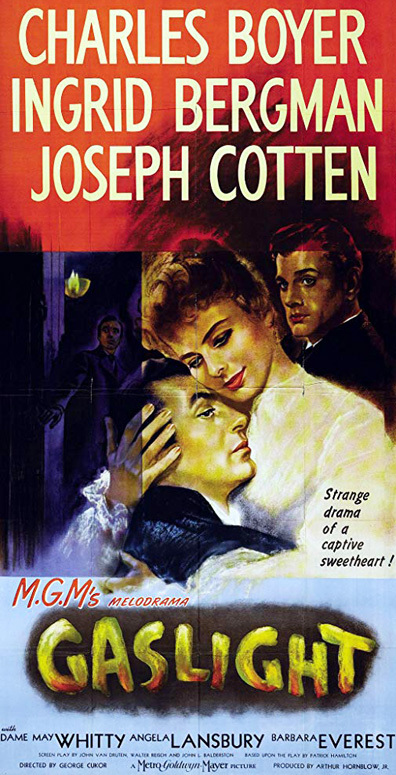 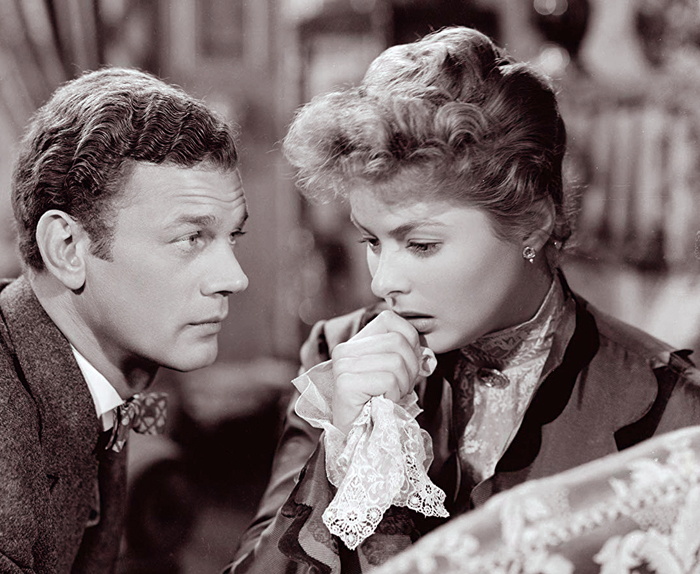 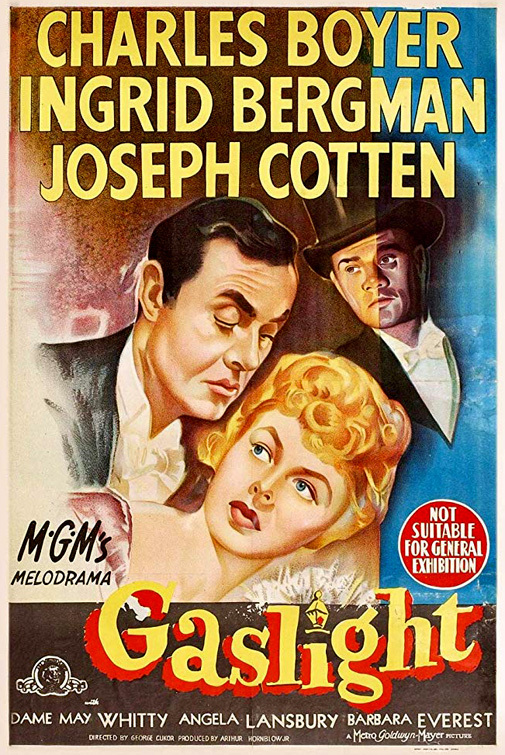 Directed by George Cukor, Gaslight (1944) was an MGM remake of an earlier British film version. 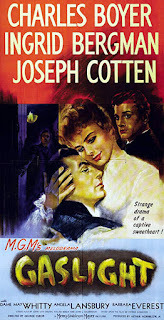 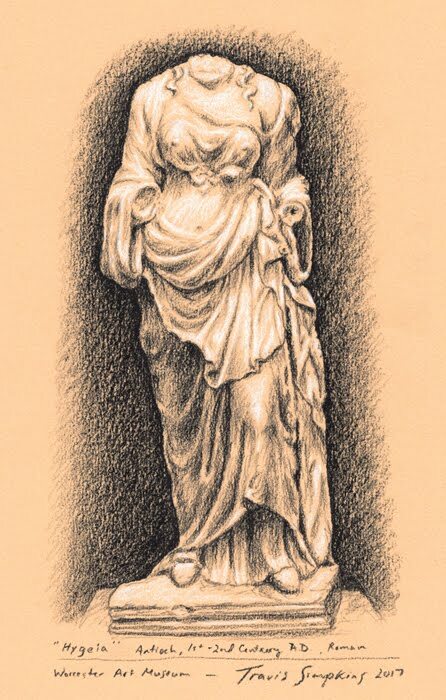 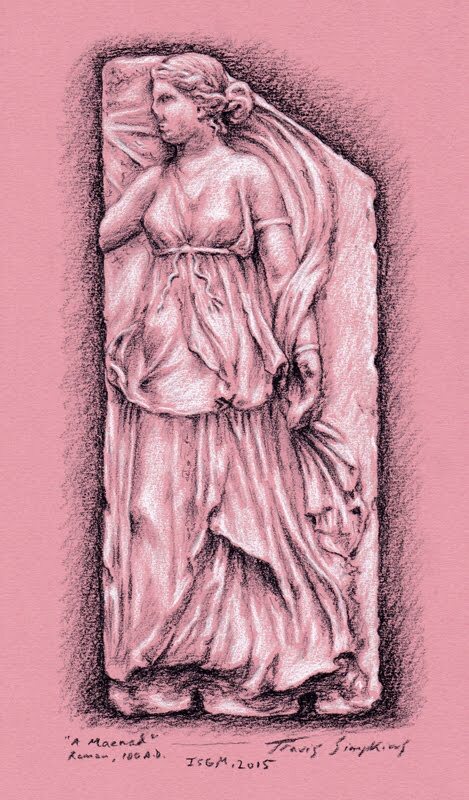 The story, set in 19th Century London, concerns a woman whose husband slowly manipulates her into believing that she's going insane so that he may steal her deceased aunt's valuable jewels. 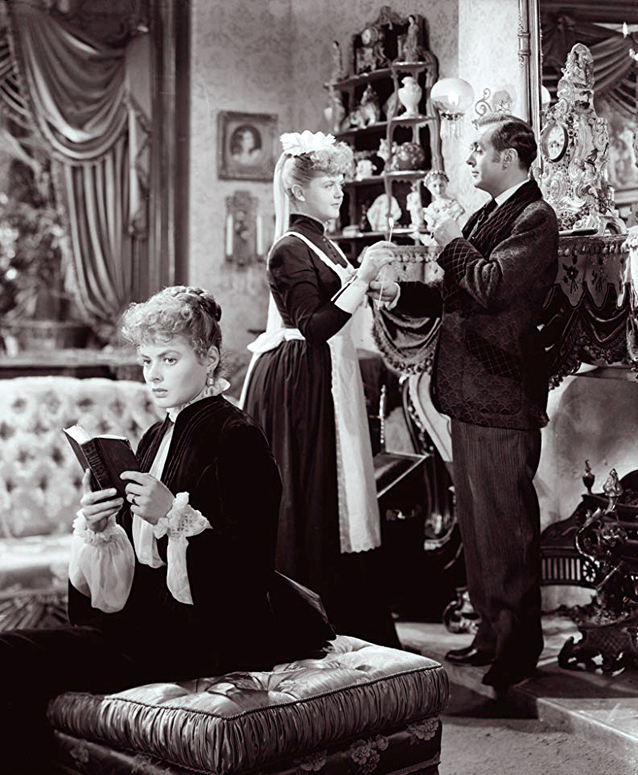 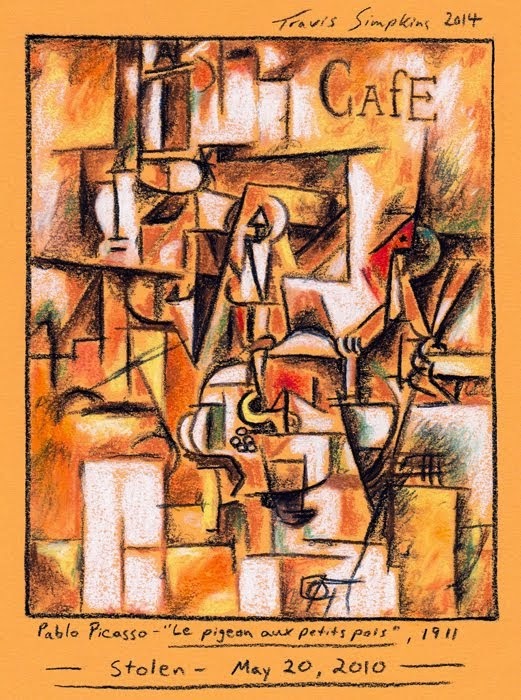 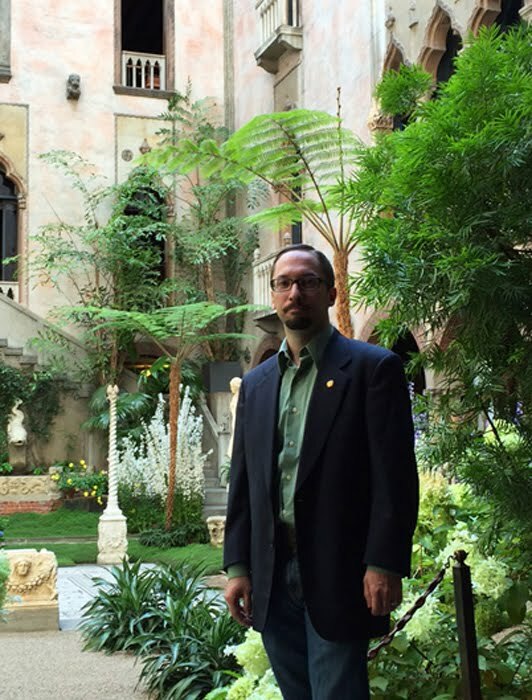 Wonderful Victorian atmosphere permeates the wonderful, well scripted production. 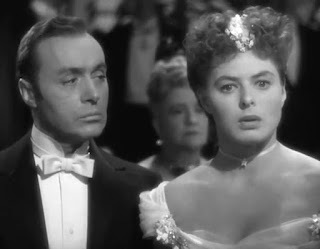 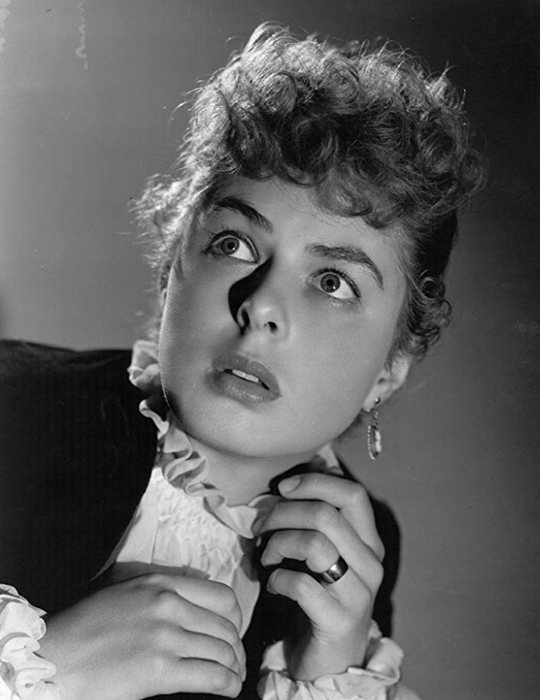 The whole cast is great, including Ingrid Bergman, Charles Boyer, Joseph Cotten, Angela Lansbury and Dame May Whitty.